There are different recipient types in Exchange servers such as user mailbox, shared mailbox,resource mailbox and linked mailbox. Shared mailboxes can be used by multiple users to view and send the email messages.And also provides common calendar so that, multiple users can view and schedule the events. 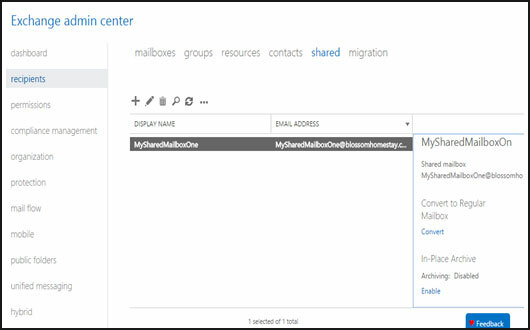 Shared mailboxes are introduced in Exchange server 2013. In older versions there is no options to create a shared mailbox. A shared mailbox doesn’t have their own login credentials and even the users cannot login to it directly. 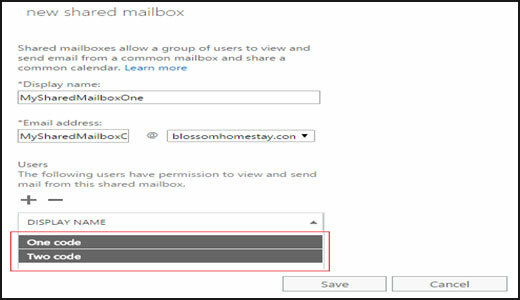 To access the shared mailbox users must be assigned with some permissions. Then only the users can access it by using Outlook or Outlook web App. When a user in the group replies to a message, will be sent to the shared mailbox and it appears to be from the shared mailbox only, but not from the individual user. Shared mailboxes are very efficient option for the customer service where in, it is easy to handle customer email queries because several people in your organization can monitor the mailbox and can respond to the queries. So that the customer questions get quicker answers, and related emails are all stored in one mailbox. What are the necessary permissions to access a shared mailbox? Full Access: Users with the Full access permission can log into the shared mailbox as an owner. And will be having the rights to read, create, delete and change the items in the mailbox. Here, the user can send a mail only if he also has both Send As and Send on Behalf permissions. Send As: Users with this permission can send mails as if they are logged in to Shared mailbox account. For example, If the user A sends a mail from shared mailbox XYZ department, it will be sent as a mail from the XYZ department itself. 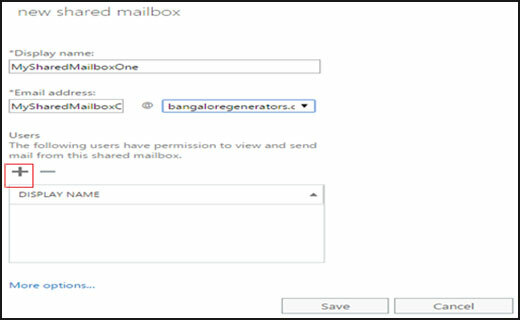 Send on Behalf: Users with this permission can send the mails on behalf of the shared mailbox. For example, If the user A sends mail from shared mailbox XYZ department, then it will look like mail sent by “A on behalf of XYZ department”. 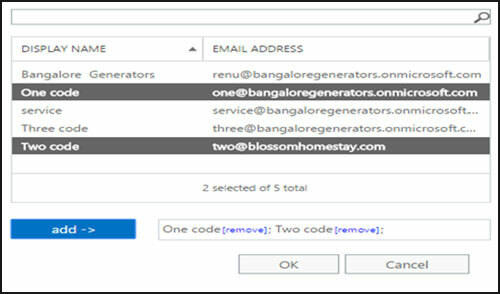 How to create a Shared Mailbox Using Exchange Admin Center(EAC)? In Exchange Admin Center, click on recipients, under shared tab click on Add (+). It will open new shared mailbox window. In the new window, enter the Display name and Email address for new shared mailbox. Click on Add (+) to add the users to access the shared mailbox. 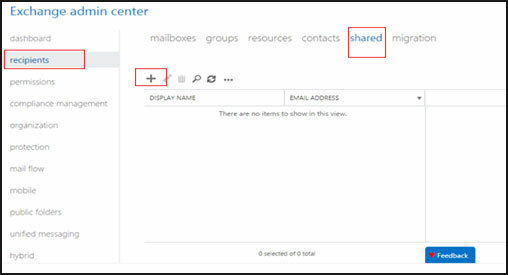 Now, In the add shared box users window, select the email address, to which you want to give the access of shared box. Click OK.
Once you are done with adding the users, you can verify the number of shared mailbox users in the new shared mailbox window. Then save it. Once you save it, in Exchange admin center window, you can see the shared mailbox which you have created. And in the detail pane which is present in the right side of the window, you can check the properties of the Shared mailbox.